Sprucing up a kitchen isn't just a popular project for the cook of the family, but for everyone who lives under the roof. No matter how a person feels about preparing food, everyone has a relationship with the feeling of Saturday morning breakfasts and midnight snacks. When it comes increasing the resale value of the home, experts say to think small for better returns. Major kitchen remodels net about 63% of the initial while minor remodels net up to 80%. Because there are some kitchen projects that are ultimately more profitable than others, learn more about how to get the most from your endeavors, whether you make renovations yourself or hire a professional. For many years, it was common to walk into a kitchen and find a white refrigerator, oven, and dishwasher against white or cream walls. It's no wonder people started opting for stainless steel and black appliances instead of the standard machinery of yesterday. When upgrading appliances, keep in mind both the form and the function of each piece selected. Not only will homeowners want their microwave to have relevant technology options, but they'll also need that microwave to fit the decor of the rest of the kitchen (and the home itself). The counters are a major component of a kitchen and they can really leave an impression on potential home buyers. Replacing the handles and doors can go a very long way in giving the kitchen the modern facelift it needs. Contrary to popular belief, homeowners don't have to rip all of their counters out and replace it all with natural stone, but they can instead work with the forward-facing elements for a less expensive investment. A few new drawer fronts can subtly signal to a buyer that their new home was well-cared for over the years and full of quality investments. The kitchen floors will take a beating over the years between the spills, stains, and accidents. Replacing the chipped tile or updating the old 1970s pattern can have a major effect on a person's impression of the room. While tile is an excellent (and generally resilient) choice, homeowners may also want to consider luxury options, such as granite or limestone. These upgrades may have a shocking initial price tag, but the returns can be generous in terms of how much genuine interest a homeowner receives after putting their home on the market. Homeowners don't necessarily have to call a professional contractor to successfully improve their kitchen. In fact, they may be able to get away with changing the color of their walls or repainting the cabinets they already have. Lately, lighter colors such as grays and yellows have been particularly coveted in kitchens. While this particular trend may not last much longer, homeowners are encouraged to opt for lighter colors in the kitchen so it's more welcoming. Homeowners can bring a photo to their local paint store to get a better sense of which pastel will work best for them. It's difficult to determine the returns of each individual project because it can be difficult to quantify why Beldevere home buyers bid the prices they bid. Still, these projects can give your kitchen an entirely new look and make it far more appealing than it's ever been before. 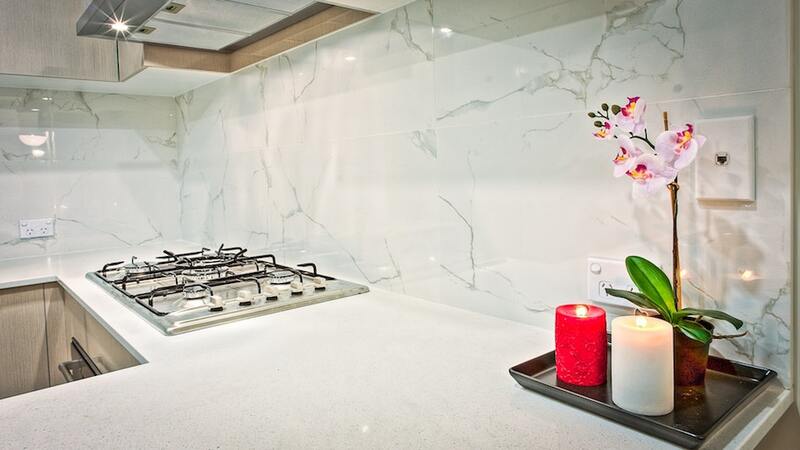 These changes won't go unnoticed by potential buyers who will immediately picture themselves standing at their modern stove and making a dream dinner for their family.